TNPSC - Tamil Nadu Public Service Commission conducted the TNPSC Group 2 Preliminary Exam for various posts throughout Tamil Nadu on 1st December 2013. Around 6 lakhs candidates have applied for the TNPSC Group 2 interview Post this year. The total vacancies for the TNPSC Group 2 Interview post as indicated in the TNPSC Group 2 Notification 2013 is 1064. We can also get the additional information regarding the number of candidates to be selected from the TNPSC Group 2 Prelims Exam 2013 from the notification itself. The candidates selected for main examination will be 10 time the total vacancies. Accordingly the number of candidate to be selected from the preliminary exam will be around 11000 - 12000 after applying all reservation rules. When TNPSC Group 2 Dec 2013 Prelims Result will be announced/ Publihsed? 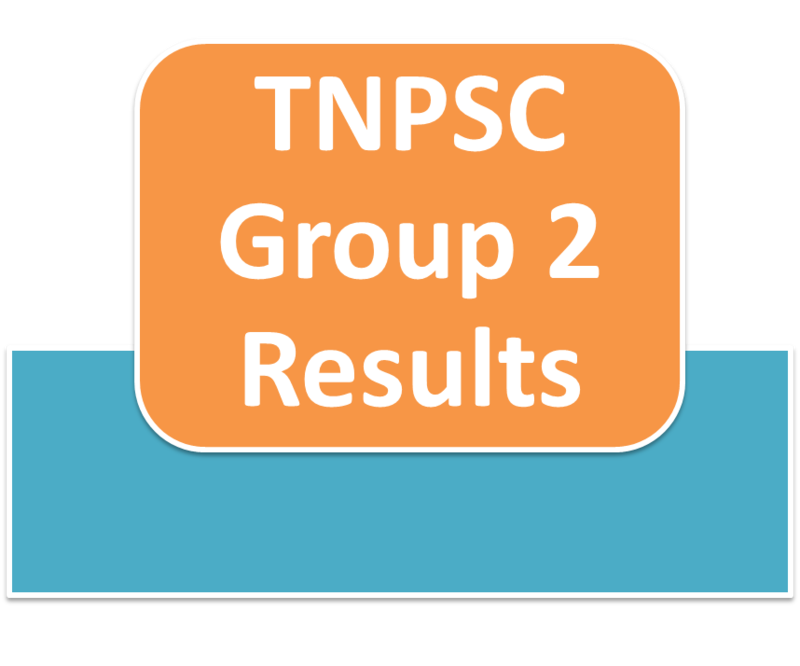 The Long Waited TNPSC Group 2 Interview Posts Prelims Result Published today (8th September 2014). Missed your Chance to appear for TNPSC Group 2 Mains ??? Don't Worry Prepare for the Upcoming TNPSC Group 4 2014 Exam 3000 Vacancies. Candidate can download the TNPSC Group 2 Mains 2014 hall Ticket here. Candidates can download the TNPSC Group 2 Mains Exam Model Question paper here. Check here the TNPSC Group 2 Interview Posts Mains Syllabus download. Examination Fee Via Demand Draft: Rs: 100 drawn in favour of “The Secretary, Tamil Nadu Public Service Commission, Chennai - 600 003” on or before 25.10.2014 mentioning their Register Number and recruitment at the backside of the Demand Draft. Dear Candidates, one of our friend got this reply from TNPSC regarding his query on DD. "1. DD எந்த வங்கியில் வேண்டுமானாலும் எடுக்கலாம்.2, DD ஐ The Secretary, TNPSC, Chennai - 3 என்ற விலாசத்திற்கு தபாலில் அனுப்ப வேண்டும் அல்லது அலுவலகத்தில் நேராக வேண்டுமானாலும் வந்து கொடுக்கலாம்." So, candidates should send the DD to TNPSC Via Post or in person. Keep the DD Challan safely with you for future reference. 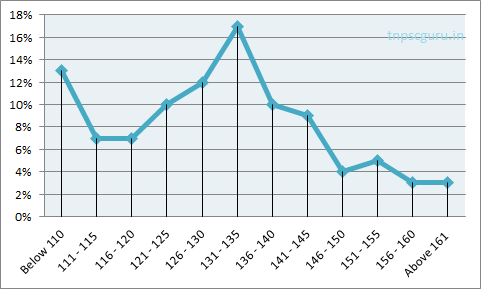 TNPSC VAO 2014 Result in 2 Months. TNPSC Group 4 2014 Notification in Sept Month. Dear Candidates this poll is to predict the most approximate cut off Marks to clear TNPSC Group 2 Preliminary Exam which was conducted on Dec 1st 2014. Please Vote in the following Poll. We do not share the information to anyone. Approximate Cut off Will be published after receiving Enough Data. Your TNPSC Group 2 Prelims 2013 Marks and the details regarding whether you are admitted to mains exam or not will be displayed. From the cut off poll it is clear that the cut off mark to clear TNPSC Group 2 Interview posts Prelims Dec 2013 Exam cannot go beyond 135. The Expected cut off marks for all categories will be updated soon. when will be the result of tnpsc group 2 preliminary Dec 2013 announced? Very good information in your site, Thank you, do you have any information about TNPSC vao exam result 2014 , TNPSC vao exam results 2014 , TNPSC vao result 2014 ?? When group 2 2013 preliminary result? sir, i have scored 134 in GROUP-2 (INTERVIEW POSTS) BC-MALE, IS THERE ANY CHANCE? I got 128 questions correct in group 2 interview post, belongs to mbc category. can i have a chance for main exams?? am guru i got 126 question correct at tnpsc answer key. Any chance for main exam. Am mbc male. Replay me sir ? am guru i got 126 question correct at tnpsc official answer key group2. Any chance for main exam. Am mbc male. Replay me sir ? sir enaku 125question correct group2 preliminary exam so main exam ku chance iruka sir. Am mbc category male. on 26th August 2014 in TNPSC press news it was announced that TNPSC Group 2 Interview post Preliminary exam result which was held on 1st December 2013 most probably will be published within 15 to 20 days. So we can expect the Group 2 result maximum within 15th September 2014. Yes.. now.. ok lee.. what a miracle.. published....!!! got your number in the list??? How you got the Roll Number..??? my score is 135. SC/male . Is there any special preparation need for mains objective type? wt r the books to be followed to get high marks? Dear Admin, If possible could you please post the previous year question paper or model question paper of group 2 mains exam? oh ok. Do you know when and where we should send the dd for 100 rs. mentioned in the result notification? Rs. 100/- (Rupees Hundred only) towards the examination fee drawn in favour of “The Secretary, Tamil Nadu Public Service Commission, Chennai - 600 003” on or before 25.10.2014 mentioning their Register Number and recruitment at the backside of the Demand Draft. your category and cut off pls..??? I scored 130/200 BC Male. My number didn't came on result. But one member (Anandan V - above) said he passed for the same mark. Hw its possible?? Help me plz?? Thank you Lee.. But kindly do some analysis & update the aprox. cut off of peoples who got selected. Anyone got selected in the range 120s to 130s..??? got 131 qns right bc female but not selected..
as per the official answer key ??? Mine is 131/100; not 130/100 wrongly typed. checked with question paper and keys. thanks for reply .yes i am a 2012 ba pass out there is no problem regarding qualification .actually the result was published on 30 th june 2012 in the application i entered it as 18 th may 2012 in the case of class 10 th and 12 th only date i entered was wrong month and year is correct.and for provisional certificate number i had given register number . my cut off is 131/200. Should we have to send the DD to the address mentioned in the tnpsc website sir? sir i hav lost my group 2 hall ticket due to which i dnt know my reg no n unable to see my result n the last day for downloading the hall ticket z over but the login id n password for my hall ticket z available ,plz suggest me some ideas.